Steve Bussel, president of BRC, SIOR, and Herb Zimmerman, senior vice president of BRC, represented the tenant, Ther-A-Pedic Sleep Products, and the landlord in the transaction. 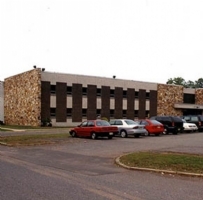 “BRC has represented the landlord on this property for over 20 years, and was instrumental in leasing the facility to Ther-A-Pedic initially,” said Bussel. 1375 Jersey Avenue is located near Exit 9 of the New Jersey Turnpike with access to Routes 18, 1, 91 and 26. The property totals 80,000 square feet and has 20-foot ceilings, one drive-in door, six extended loading docks, 300 amps of electric power, 30-foot by 40-foot column spacing, and 25 free surface spaces. Ther-A-Pedic Sleep Products provides home furnishing products. The company manufactures and distributes pillows, pet beds, chair pads, reading wedges, and mattresses. With one of the largest dedicated industrial brokerage staffs in New Jersey, Bussel Realty Corp. (BRC) is a leading industrial real estate services firm located in Central New Jersey with individual memberships in the Society of Office & Industrial Realtors (SIOR). BRC provides leasing and sales brokerage services to users, corporate occupiers, landlords, owners and investors, representing millions of square feet of property and tenant client assignments annually. The firm’s clients have included several of the largest Fortune 500 Companies, as well as numerous manufacturing, distribution and services companies both nationally and locally. Currently, BRC is handling in excess of three million square feet of corporate and industrial real estate in New Jersey.